To celebrate his 33rd birthday, community director of TechCrunch.com and cancer survivor Drew Olanoff is in the last hours of fundraising money for cancer in a rather peculiar way. Drew will be auctioning off a section of his flesh that will soon display the twitter handle of the highest bidder on twitter, donating all funds to help cancer research. Again. 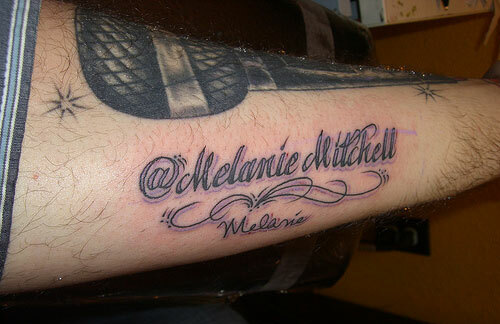 Having raised $2112 in 2009 for the Make-A-Wish Foundation for the small price of @MelanieMitchell inked into theinside of his left forearm, sites are set high for the second time around, with the total amount raised sitting at over $10, 000. Drew’s inspiration for this quest is fuelled by a little girl named Alex Scott, founder of Alex’s Lemonade Stand who lost her hard fought battle with neuroblastoma, an exclusively childhood cancer that attacks nerve cells, at only 8 years old. When Alex was four, she decided to hold a lemonade stand in her quest to raise money for cancer research for the doctors to “help other kids like they helped me”, to which Alex’s Lemonade Stand have continued to do for the last 12 years. “For Alex, and for children everywhere battling cancer, I’m doing it again. This time the money goes to Alex’s Lemonade Stand”, he wrote.